This month we have driven around all the apiary sites to do the oxalic acid treatment on the hives to help the fight against the dreaded varroa mite. We administer the acid crystals by sublimation as we feel this is a more effective way to deal with this pest. The poly nucs are dealt with by the trickle method as so far we cannot find a way of sublimation without burning the poly nuc. We have also checked on the hives to make sure they all have plenty of stores and fed fondant where we thought they might need a bit extra. The arrival of the Thornes sale order has meant I spent a day drilling holes and inserting eyelets into a couple of thousand side bars. I then spent the next few days assembling the frames and wiring them ready for the foundation in the spring. A couple of the apiaries needed a trim back as they had got over grown during the summer. One of the apiaries was looking a bit crowded, so a move was needed and as we had cleared space at another apiary it made sense to move them there. It was raining, blowing and the hives were heavy. Moving hives on your own is no fun, but at least knowing how heavy they were I can be sure that they have enough stores to last them for a while. 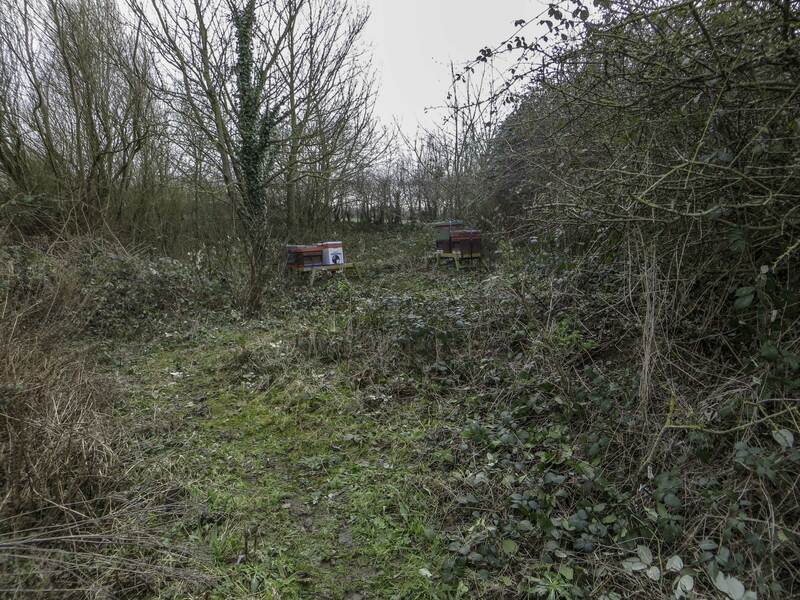 The apiary pictured below, once it had been tidied up, has now received four more colonies to boost it to ten. I think i will see how they go before I add anymore. There is room for a few more but I would like to see how the ten manage first. Snowdrops and catkins were out so spring must be just around the corner, and I cannot wait to get back into the bees. The weather here is so mild that one morning we saw our first queen bumble bee scouting around, probably the earliest I have ever seen a bumble bee. The Walton on Thames Farmers Market is on the first Saturday of February, and Sally has been busy stocking up on candles and cosmetics while I have been bottling honey. 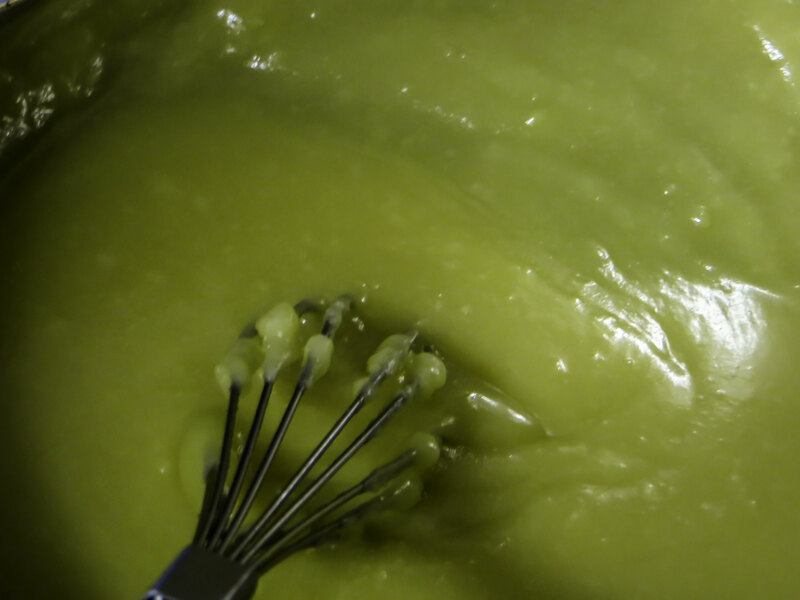 She is currently producing flavoured lip balms as we have been asked a few times for some. The cosmetics and honey continue to sell well and we are in the middle of negotiating a couple more shops to stock some of our products. 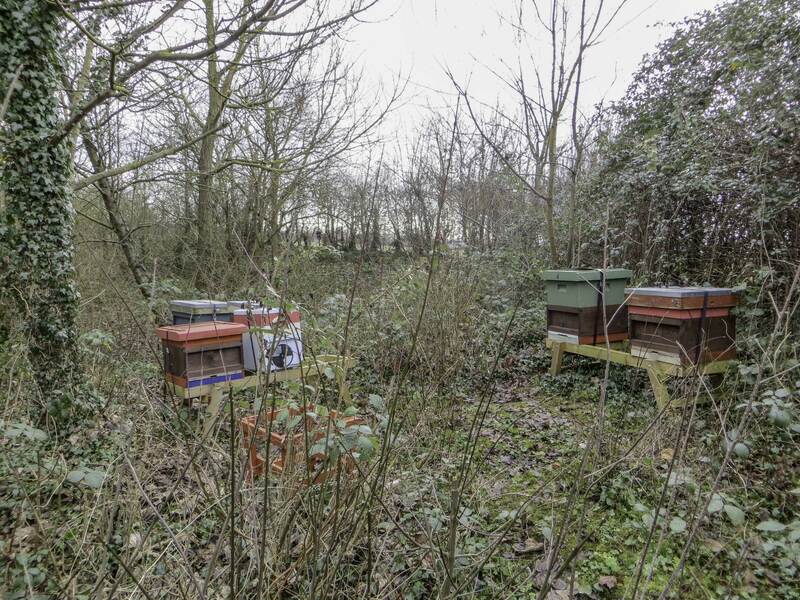 As for 2015, we are looking forward to managing a couple of new apiaries that we have acquired. Fifty complete new hives have been got ready over the winter along with the stands and frames, ready for some of the nucs we are over wintering. An increase in honey production and nucs both for sale and our own increase is going to be needed this season. Queen rearing will also be on a bigger scale, so we have bought and made a large number of mating nucs. Our over wintered nucs have all been spoken for this year already, which is good and gives us an early boost to the bank balance, especially with all the new equipment we have bought over the past few months. Equipment we plan to buy this year is going to cost a fair bit, but we feel it is much needed as we expand further, looks like Sally will have to continue with the “day job” for a little bit longer!! I will feature the new additions in future blogs as and when we get them. This entry was posted in Beekeeping and tagged Apiary, Bees, Cosmetics, Frames. Bookmark the permalink.